Sharni has been in private practice since 2001. She has had a great interest in treating headaches and migraines and three years ago in 2015 began treating using the Watson® approach. 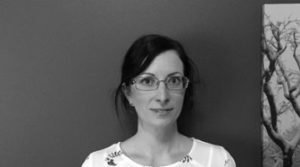 She has gained valuable experience by working at the Melbourne Headache Centre (2015 to current) and is also treating at the Headache & Migraine Centre. Sharni is dedicated to the diagnosis, treatment and management of headaches and migraines. Call today for an appointment or if you need to discuss if this treatment will benefit you. Sharni recognises the importance of maintaining mobility and general fitness. Yoga, swimming and bushwalking are some activities Sharni enjoys to continue her health and wellness. You can contact Sharni at the Headache & Migraine Centre.